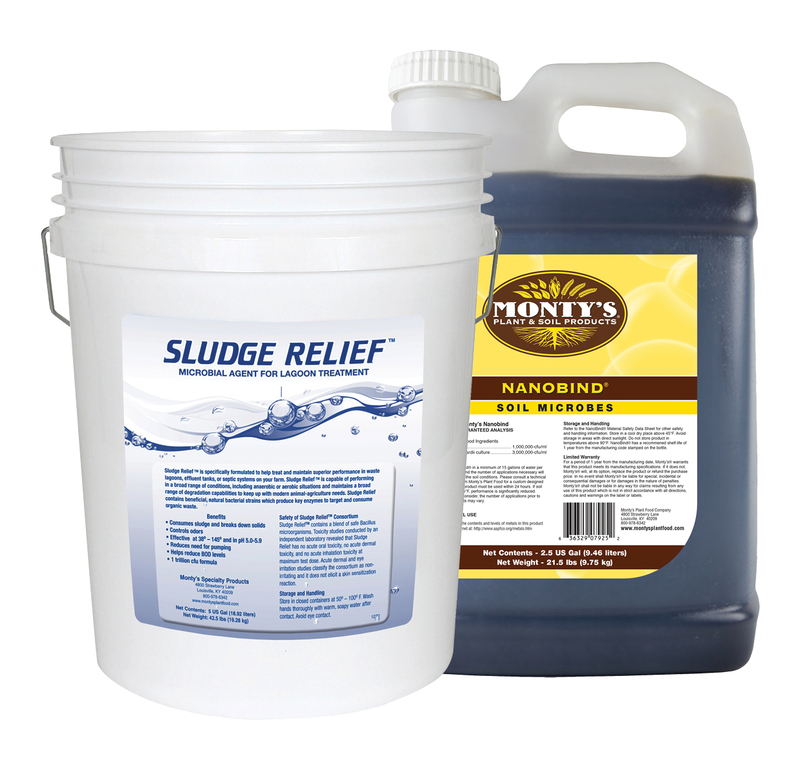 Monty’s Sludge Relief program: the bio-organic solution for manure management. Manure lagoons. Loafing sheds. Swine-manure pits. Stabilization ponds. Waste systems. Wherever manure collects, everyone wants a better way to manage it. And for farmers? The time, effort, cost, and missed-nutrient-opportunities of less-than-successful manure management can feel like a whole lot of waste. But that’s all changing now since Monty’s has a proven solution to these waste treatment challenges. “Manure-solids buildup also brings problems like flies and odor control. “They make it pretty hard to be a good neighbor,” Dedman says. Enter the Monty’s solution: Sludge Relief and Nanobind program. When Sludge Relief is combined with Nanobind, farmers get microbes and enzymes that digest solids, turning waste into a pump-friendly slurry that allows pits to be drained more completely — with significantly less odor. Pennsylvania dairy farmer Mike Heimbach says “Basically, we’ve had manure issues since we’ve had cows.” His million-gallon manure slurry tank regularly became so compacted that Heimbach could stand on the surface. On average, his workers spent 8 to 10 hours a day breaking up the crust until he eventually he had to break up the sludge with a digger. And whenever he applied the manure to his fields, neighbors’ complaints about odor were deafening. Despite Heimbach’s best efforts to work with everyone, even the FDA knocked on his door. But about four years ago, Heimbach began adding Monty’s Sludge Relief program to his tank every two months. And now? Complete drainage and complaint-free spreading days. 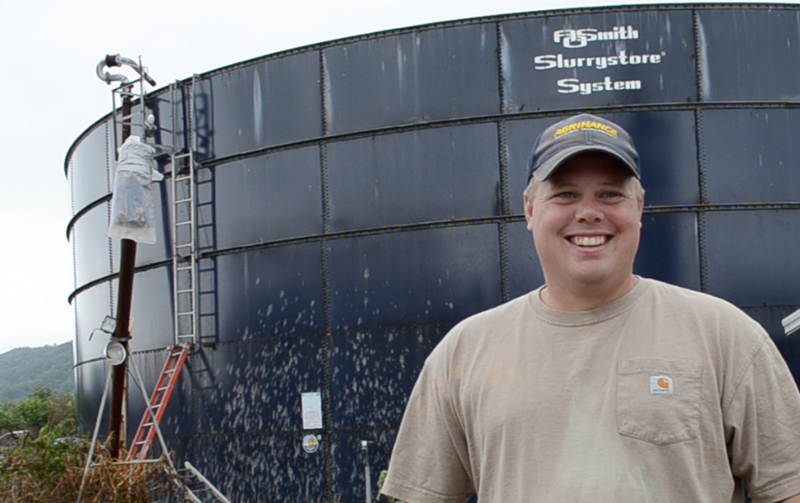 Pennsylvania dairy farmer Mike Heimbach has seen amazing results with the Sludge Relief program. If you’re looking for a better way to manage your manure, learn more about Monty’s Sludge Relief and Nanobind manure management click here or contact your Monty’s representative today!